PT Nusantara Turbin dan Propulsi - NTP or known as UMCNTP is a reputabl company in Indonesia, based in Bandung West Java and is involved maintetance, repair and overhaul (MRO) services for aircraft engine and industrial turbines. 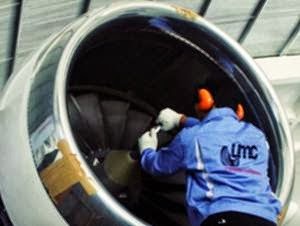 UMCNTP's business include Aero Engine Services, Industrial Turbine Services, Special Process & Training, and Engine Condition Monitoring. PT Nusantara Turbin dan Propulsi has its business activities focused in 3 sub business units (SBU), namely Aero Enginee Services, Industrial Turbine Services and Product Integration & Trading. PT Nusantara Turbin dan Propulsi is a member of PT Dirgantara Indonesia (Persero) or PTDI Group, a leading state-owned aircraft manufacturers in Indonesia. According to UMCNTP's company profile as quoted by JobsCDC.com, PT Nusantara Turbin dan Propulsi operates under quality management system based on international standards of ISO 9001:2008 Quality Management System Certification from DNV, Netherlands. UMCNTP has attained the international certifications from the international aviation authorities; Federal Aviation Administration (FAA) USA and EASA European Union. Male/Female, not older than 40 years of age. Education background in Bachelor Degree (S1) majoring in Industrial Engineering, Logostic, Business Administration. Minimum 3 years of experience in procurement managerial level for purchase of components aviation/automotive. The candidate with prior experience in the field of export and import is preferred. Strong understanding regarding Company's bonded zones (Perusahaan Dalam Kawasan Berikat). JobsCDC.com now available on android device. Download now on Google Play here. Please be aware of recruitment fraud. The entire stage of this selection process is free of charge. PT Nusantara Turbin dan Propulsi - Recruitment Procurement Mgr PTDI Group June 2016 will never ask for fees or upfront payments for any purposes during the recruitment process such as transportation and accommodation.